Being charged with a DUI is very serious and should ever not be taken lightly; many people can quickly panic following an arrest and loose valuable time, which can be used to their advantage. The truth is, there are factors that might very well be able to beat your DUI arrest charge without any fine, loss of driver’s license or possible jail time. It’s important to realize this desired outcome will come to the specifics of your particular arrest details as well as the reason you are given for the original traffic stop leading up to the DUI arrest. It should be noted that defenses are not created nor lawyers make up facts nor submit oneself to perjury but it’s on a case-to-case basis. Each case is unique as each client is a unique human being and each police officer is different. Therefore, in order to establish a sturdy defense, one must look at each of the cases and find where the weaknesses are to be used as plea-bargaining to reposition the strength of a defense. There are certain basic criteria that officers must have to conduct at traffic stop and a DUI arrest. For example, it is very important to understand that if your original traffic stop does not fit constitutional standards or the stop can be shown as invalid, the case will be dismissed. This is due to the fact that if the original reason for the stop is wrong, everything after that point must be suppressed which include some Breathalyzer or field sobriety test results and the DUI case must be dismissed as well. 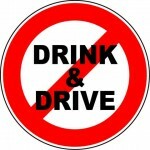 Clearly, the only most important defense in a DUI or DWI case to look for constitutional loopholes which will focus on the validity of the arrest, admissibility of the breathalyzer or the field sobriety test as evidence, the chain of custody of the evidence whether is tampered or not, the compliance of the Miranda Rights, Right to Counsel during custodial investigation as well as the satisfaction of due process. Seriously, any DUI defense lawyer should exhaustively look into the compliance or non-compliance of these foretasted constitutional rights and see whether the rights of the accused, who is a client being the defendant is satisfied by the letters of the law. One slip or one disorientation of the prosecution’s constitutional error would mean a major advantage to the cause of action of the defendant to go for a demurrer or file a motion to dismiss the whole charge.